I recently did an email interview with Helen Wyman for Sportsister online magazine ahead of the World Cyclo cross Championships. I got a real sense from her answers that she was really looking forward to racing in Hoogerheide (the Netherlands) and she was raring to go. So it was really great news to learn that she got a bronze medal at the championships. A lot of noise had been made about the likes of Marianne Vos, Nikki Harris and Katie Compton, so it was always going to be a little tight gauging who would complete the podium. In the end Vos rode to a seventh championship victory, followed by Eva Lechner of Italy, and Helen finished ahead of Nikki Harris and Katie Compton for third place. That's Helen's first ever podium finish in a World Championship race. I am so pleased for her. I have alot of admiration for sportstars like Helen who plug away year in, year out, often without much recognition in the media, but stay highly motivated nonetheless. That gives us all hope that we too can live the dream if we perservere. So once again Marianne Vos is World Cyclo cross Champion - as well as being World Road Race Champion, World Track Cycling Champion and London 2012 Olympic Road Race Champion. This woman is unstoppable! I must admit that the day we all crowded round the big screen on that rainy August afternoon at Box Hill cheering for Lizzie Armitstead to get a gold medal for team GB, I secretly didn't mind that she was beaten to the line by this superwoman from the Netherlands. We have seen her really turn herself inside out to win races across various cycling disciplines and an Olympic road race title was missing from her palmares. So I didn't feel too bad about Armitstead being pipped by a woman who was making history. 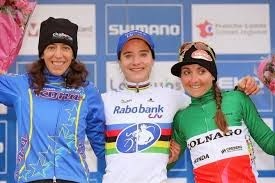 Marianne Vos is a massive inspiration for women's cycling and I look forward to seeing her do even greater things. Saying that, she may now get the chance to shine now that it has been announced that there will be a UCI women's race in Paris on the final day of the Tour de France. 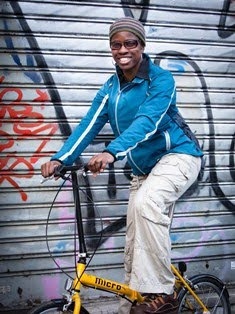 Following tireless work by the Le Tour Entier (LTE) campaign which involved the likes of Kathryn Bertine, Chrissie Wellington, Emma Pooley, and Vos herself, to have a parallel women's Tour de France, Amaury Sports Organisation has given the go-ahead for a women's one-day race. The race will take place on the last day of the Tour, right on the Champs Elysees, where the all eyes of the world will be focused. There's no better platform to showcase women's cycle racing! I think that's probably the best we could hope for at this stage. A 3-week long race around France, along with all the associated logistics is not something that can be done overnight. There would also be important questions over how this would fit into a the women's road racing calendar, given the various other racing commitments that women have at that time of the year. Having said that, it would be great to see the return to the calendar of short stage races like the Grande Boucle Feminine and the Tour de L'Aude, as well as a women's Tour of Italy that is not beset with sponsorship issues. For now, a women's cycle race in association with the world's most famous cycling event, held in Paris is a step in the right direction, and that is cause for celebration. I really appreciate the work done by these women to raise the profile of our sport. I hope this can lead to more positive things for women's cycling, and women's sport in general. The Richmond Park of the North-West!